Deena Padayachee lives in Durban, South Africa. He is the author of a book of resistance prose poems, "A Voice from the Cauldron," which was published in 1987. His poems have been performed by the Natal Performing Arts Council and have been published in several international journals and the poetry anthologies. 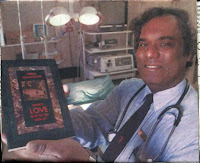 He has also won awards for his short stories. This is the first time his poem, "Injustice," has ever been published. 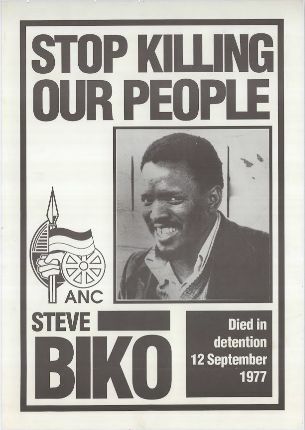 He wrote it in 1977 after anti-apartheid activist Steve Biko died during interrogation by South African police. "It was a dangerous poem to write at the time as it accused the Apartheid legal system of being unjust," Padayachee says. "It is the kind of poem that is still hated by those who love racism and apartheid." In the name of all that is supposed to be noble and good and civilised. Police, law courts, lawyers, magistrates and judges. With citizens' taxes, complex thoughts and the citizens' wisdom. for even the poorest of the poor. Yet you give all this torment some kind of sanctimonious rectitude. You cannot hide what you do to us. Nothing can make it moral, ethical or correct.